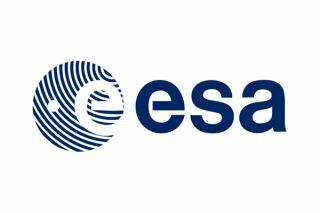 The European Space Agency is the coordinating entity for European civilian space activities. With 22 member states, its headquarters is in Paris, and it also has several centers scattered in several European countries. ESA is a substantial contributor to the International Space Station and frequently flies astronauts to the orbital complex. Its most recent astronaut class in 2009, nicknamed the Shenanigans, includes six astronauts. Italian Luca Parmitano was the first among that group to make it to space, in 2013. Additionally, ESA has numerous satellite programs designed to explore Earth as well as other planets. Some of its more prominent missions include Mars Express, which is in orbit around the Red Planet, and Rosetta, which arrived at Comet 67 P/Churyumov-Gerasimenko in 2014. Europe began to get serious about creating a space agency after the end of World War II. According to ESA, between 1945 and 1950 scientists in Europe were leaving the continent in pursuit of opportunities in the United States and Soviet Union, which were both working on rocket technology that would later lead to a space race between the two superpowers. By 1964, countries were laying the groundwork for the European Launch Development Organisation to work on launchers, and the European Space Research Organisation to make spacecraft. Today, ESRO is probably best remembered for its agreement with NASA to build Spacelab, a reusable module for space shuttle flights that astronauts used for scientific experiments. The European Space Agency itself came to be in 1975 through a merger of ESRO and ELDO, with 10 founding member countries. Its first satellite mission was Cos-B, which looked at gamma-rays in space. As of 2016, ESA has 22 member states and has made several large contributions to the International Space Station, including the Columbus module and the Node 2 connecting module. It also supplied a series of cargo ships called the Automated Transfer Vehicle, each of which was named after a prominent space person. Spacelab's agreement led NASA to invite ESA to submit astronaut applications. The initial three astronauts were selected in 1978, with German's Ulf Merbold making it into space first in 1983 aboard STS-9. This also happened to be Spacelab's first flight. As the pace of missions increased in the 1980s, several ESA member states did astronaut selections of their own. These astronauts went on to fly in both space shuttle missions and Russian Soyuz missions, including voyages to the Mir space station. ESA's European Astronaut Centre was founded in 1990 as the agency geared up for contributions to the International Space Station. A new astronaut selection was performed, winnowing down more than 22,000 applications to six selected astronauts in 1992. Six years later, Europe decided to put the ESA astronauts and the astronauts selected in individual nations into one large corps. By then, European astronauts were taking on mission specialist responsibilities on the shuttle, which opened up opportunities for spacewalks and other activities. The most recent selection concluded in 2009. Some of the more notable achievements include the first European spacewalk with a U.S. spacesuit (Claude Nicollier, who worked on the Hubble Space Telescope during STS-103 in 1999) and the first European to join an International Space Station crew (Thomas Reiter, 2006). This Mars photo from ESA's Mars Express spacecraft was taken on Dec. 15, 2012, and beamed to Earth on Dec. 18. The spacecraft was 9.761 kilometers from Mars at the time. ESA spacecraft and instruments have visited several planets in the solar system, including Earth orbital missions. Cassini, a joint mission with NASA, has been orbiting Saturn and its moons since 2004; Cassini's lander Huygens, which was led by ESA, landed successfully on the moon Titan in 2005. Mars Express is orbiting the Red Planet in search of Mars water, including probing underground with its instruments. Rosetta not only imaged Comet 67-P/Churyumov-Gerasimenko from up close, it also sent a lander, Philae, to the surface. The GAIA telescope is currently mapping billions of stars with unprecedented precision. One of ESA's large focuses in the next few years will be the ExoMars mission, which it is doing in partnership with Russia. The first part of the mission — a satellite called the Trace Gas Orbiter, as well as a small test lander — lifted off successfully for Mars in 2016. A follow-on rover was expected to launch in 2018, but slipped to 2020 due to scheduling problems. Other prominent recent science missions include the space telescopes Planck and Herschel; Venus Express, which concluded its mission in 2014; LISA Pathfinder, which is testing out technology to learn about gravitational waves; and the James Webb Space Telescope, led by NASA and expected to launch in 2018. ESA currently has missions planned for Mercury (BepiColombo, 2018) and Jupiter (JUICE, 2022), and others that will seek dark matter (Euclid, 2020) and observe the energetic universe (Athena, 2028). ESA used to have a contract for a cargo vehicle called the Automated Transfer Vehicle (ATV), which brought supplies to the International Space Station. While that program is now concluded, ESA's European Space Operations Center in Germany still does ISS work, such as having astronauts in orbit test-drive rovers on Earth's surface. Additionally, controllers work on the station's Columbus science lab. The center also serves as the point of control for several ESA satellite and planetary missions. The agency also is working on the next generation of its Galileo navigation system, which is an alternative to GPS technology. When the deployment is complete, there should be 30 satellites in orbit allowing people on the ground to get an exact fix on their location. ESA also has its own rockets. The most famous, Ariane, has gone through several generations of development since Ariane 1 first blasted off Dec. 24, 1979. The rocket initially was used only by European governments, but was opened up to international missions when it was clear that more launches were needed to keep the program going. ESA also has lofted Vega and Soyuz rockets. Space engineering is another major activity undertaken by ESA. Some of its major research areas include thermal control, structures and mechanisms, propulsion and mechanical engineering. It also performs software engineering and product assurance.